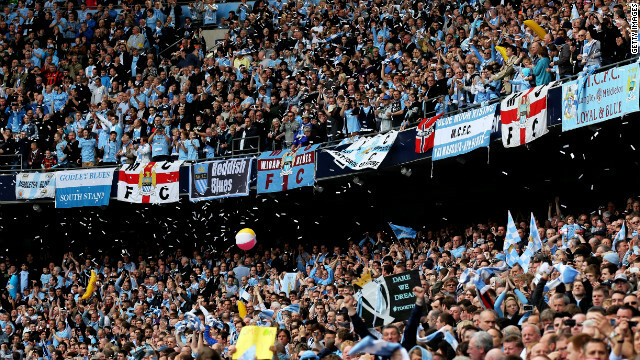 Manchester City fans saw their team clinch a first English top division title in 44 years. (CNN) -- Manchester City's English Premier League title came at a staggering cost, with the Abu Dhabi-owned team splashing huge amounts on transfer fees and wages for high-profiles stars like Yaya Toure, Sergio Aguero and David Silva. Whether City's expensively assembled squad is worth the astronomical wage bill is debatable, but it would seem City's fans are getting their money's worth after the English champions topped a "Value League" released this week. The league, compiled by the ING Direct bank, ranks England's top-flight clubs based on how much fans pay for their season tickets compared to how the team performed during the 2011-12 season and how many goals they scored. And it is City who emerged on top, with the team's home fans enjoying 18 wins, one draw and 55 goals in the club's 19 Premier League games at the Etihad Stadium. Who are European football's "Most Valuable Players?" 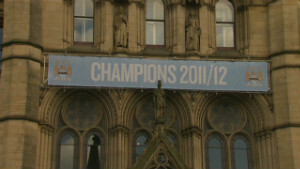 Just like on the pitch, City beat off competition from neighbors Manchester United, who placed fourth. Second on the list were Wigan Athletic, who, despite flirting with relegation for the majority of the season, provided their fans with more entertainment than their more illustrious rivals. At the other end of the scale, Queens Park Rangers have been ranked as the worst value for money for their fans. Despite escaping relegation to earn a second successive season in the Premier League, QPR -- owned by Lotus F1 chief Tony Fernandes -- offered their fans the worst performances based on the cost of a season ticket at Loftus Road. Just above Rangers are Liverpool, who last week dispensed with the services of legendary manager Kenny Dalglish after fans endured the club's worst Premier League campaign. 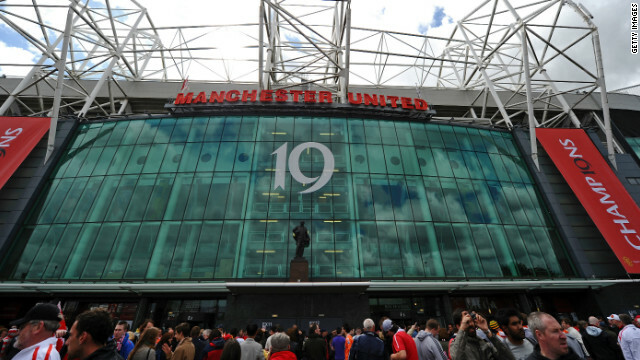 Manchester United is the most valuable brand in football according to a report by independent consultancy Brand Finance. The global appeal and on-field success of the 19-time English champions has helped establish a brand worth an estimated $853 million. Bayern Munich's players and fans were distraught after losing Saturday's European Champions League to Chelsea, but the German team's brand was second on the list, valued at $786 million. 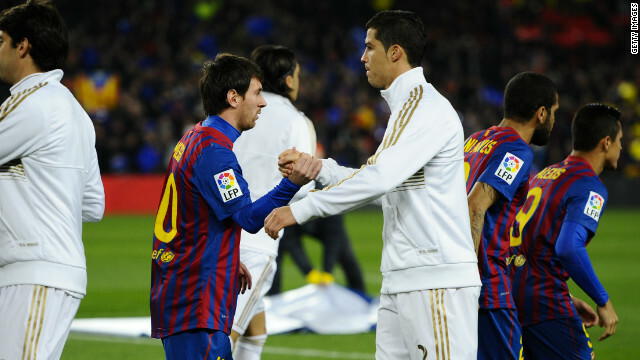 Real Madrid recently pipped Barcelona to the Spanish title, but both clubs have suffered setbacks financially. Both brands decreased, by 7% and 8% respectively, as a result of the eurozone crisis and its impact on the Spanish economy. Chelsea's brand value was significantly boosted by the European triumph. The west London club, backed by Russian billionaire Roman Abramovich, is ranked fifth on the list valued at $398 million. Manchester City's dramatic Premier League title win has increased the value of the Abu Dhabi-owned English club's brand, putting it eighth on the list, worth an estimated $302 million. 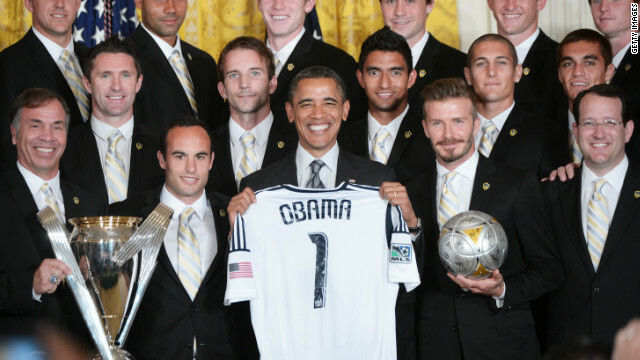 The 2011 Major League Soccer champions Los Angeles Galaxy had the honor of meeting President Barack Obama earlier this month. Galaxy, 50th on the list, still struggle to attract commercial rights deals which compare to the club's European counterparts. Supporters gathered in the famous Kop stand at Liverpool's Anfield stadium saw just six home wins for the Reds during 2011-12, with the five-time European champions finding the net on only 24 occasions. A survey was also conducted to find out what percentage of season ticket-holders in England's top division would be renewing for the 2012-13 campaign. Out of a sample of over 2,000 fans, 9% said they would not be renewing their season tickets regardless of price, with 7% set to renew if the price does not increase and 13% yet to decide. ING Direct CEO Richard Doe is not surprised a section of fans are questioning the need to attend games given the current economic climate. "Football fans face the same economic difficulties as everyone else and supporting their team can be a costly outgoing," Doe said in a press release. "So it's not surprising that many fans are questioning the value for money they're getting from their club." Despite facing financial difficulties, Doe said many fans will ultimately renew their season tickets due to the emotional connection they feel to their team. "Come the excitement that the start of the new season brings, it will also be interesting to see how many fans put the love of their club ahead of other financial priorities." Of the 20 clubs in the Premier League, 12 have frozen or lowered season ticket prices ahead of the new season while five have announced price hikes. The Football Supporters' Federation (FSF) is a voluntary organization representing fans across Britain. The FSF told CNN that, while ticket prices differ throughout the league, the issue of admission prices is still a pressing one for football fans. "Prices vary from club to club so it's unfair to put every one in the same category," said an FSF spokesman. "But it is fair to say ticket pricing is a major concern for fans." The FSF went on to explain how ticket pricing and the possible introduction of safe standing areas into football grounds were two issues which fans would like to see addressed. Football stadia in England's top division are required to be all-seater after the Hillsborough disaster in 1989, when 96 fans lost their lives during an FA Cup semifinal between Liverpool and Nottingham Forest. "Alongside fans telling the FSF that they'd like to see the introduction of safe standing areas, and individual complaints relating to policing or stewarding, (ticket pricing) is one of the most frequent topics the FSF receives calls and emails about," the FSF said.